The PowerBreathe Respiratory Trainer is a hand-held inspiratory muscle trainer that is simple to use, drug-free & designed to help maximize sports performance by improving fitness & reducing breathlessness. Your POWERbreathe will be exposed to saliva during use. 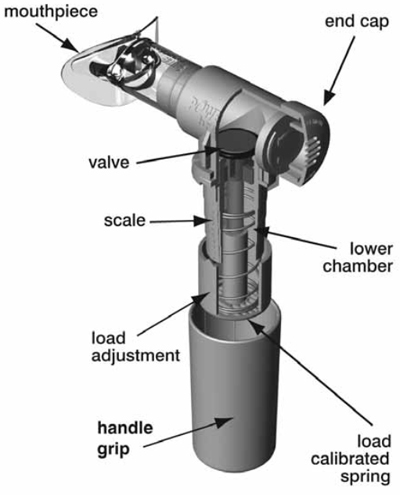 Their recommend that a few times a week you remove the valve head and soak it in warm water for about 10 minutes (see POWERbreathe Manual for full details), but once a week soak the valve head in a mild sterilizing solution instead of water, using the POWERbreathe Cleansing Tablets - only 1 tablet is required each time.